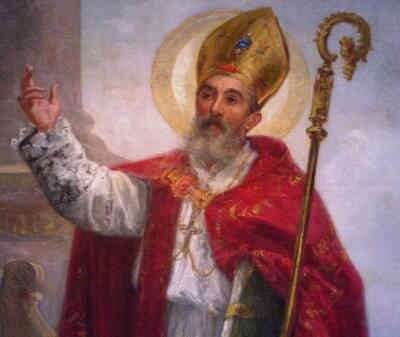 Saint Hilary of Poitiers, Bishop & Doctor - My Catholic Life! Today’s saint was born a pagan, to pagans, in a pagan city. But his broad and deep education brought him into contact with Holy Scripture, where he found the truth he did not know he was seeking. He became a Catholic through reading. He was to then spend his adult life defending Catholic truth with his pen. The convert converted others and preserved the orthodoxy of the Nicene Creed against the Arian heresy. Saint Athanasius called St. Hilary a “trumpet” of orthodoxy against theological error. St. Hilary was elected the Bishop of Poitiers, France, about 350. His learning and intelligence inevitably placed him at the center of the violent theological battles of the fourth century. The Council of Nicea of 325 had left some theological definitions open to incorrect interpretation. A man named Arius caused immense confusion by just such misinterpretation. Arius argued that the words of the Nicene Creed meant that Jesus was less than God the Father, had a beginning in time, and was of like substance to the Father instead of the same substance. Saint Hilary was the first theologian from Western Europe, as opposed to the more theologically mature theologians from Egypt, Turkey, and the Middle East, to see what a grave threat the Arian heresy truly was. St. Hilary spent the better part of his adult life studying, writing, speaking, and arguing to ensure that the Nicene Creed was understood and adhered to throughout the Church. He was even sent into exile by the Emperor for not conforming his views to Arian teachings. 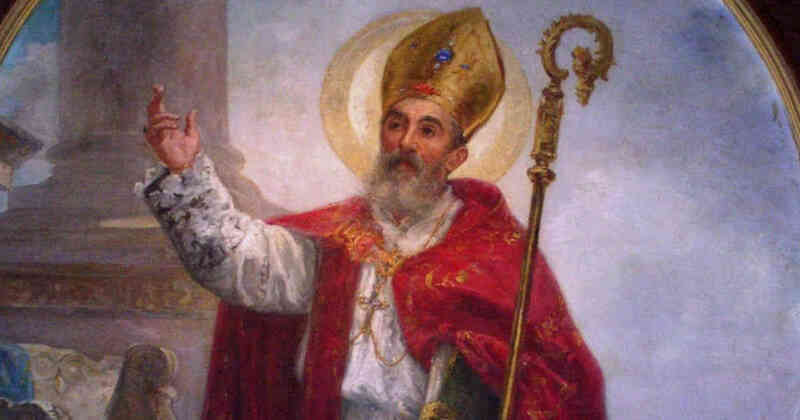 But he used his time in exile to read and write extensively, eventually becoming such a thorn in the side of the Emperor that he restored St. Hilary to his diocese. Saint Hilary went on to attend various synods of bishops in an effort to maintain the truth of the Nicene Creed against determined opposition at the highest levels. The life of St. Hilary proves that good theology matters. Bad theology easily leads to bad worship, bad morality, and the decline of true Christian community. To disrupt or correct bad theology is to disrupt or correct bad community. And it is sometimes the obligation of the Church to break up false ideas of the church, of marriage, of family, of government, etc… When certain things are built up, their opposites inevitably are broken up. Saint Hilary knew all of this. He knew that bad theology was not just bad in and of itself but that it also had negative repercussions in the lived reality of the Church. When St. Hilary defended theological truth, he defended many other truths too. St. Hilary, through reading and study you came to love the truths of the Catholic faith. Your love then showed itself in your willingness to suffer for that truth. Help us to know, love, and serve God by knowing, loving, and serving the instrument of His truth on earth—the Catholic Church.